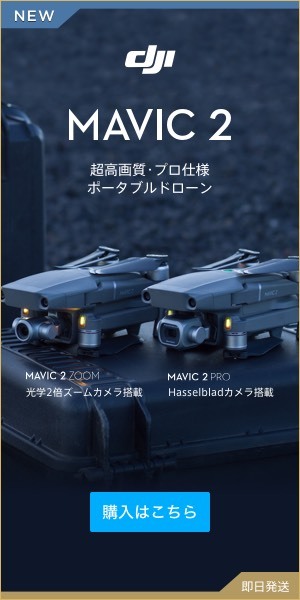 When purchasing Mavic PRO (Mavic Pro), “transmitter (Propo)” calibration “has already been implemented, but if the transmitter has an error, you need to calibrate the transmitter there is. I think that there are many people who do exactly calibrate the drone body, but I think that those who are calibrating the transmitter are very few. First of all, we will check from notes on calibrating the transmitter. 1: Do not put the power supply of the aircraft in. 2: When performing the calibration, make sure that the stick of the propo is properly positioned at the center. 3: Do not do it near magnetic properties · metal objects during calibration. 4: Calibration time is 60 seconds. If it takes more time it will time out on the application and it will be notified, so we have to start over again. Let ‘s calibrate on these things firmly. 2: Turn on the power of the transmitter. 3: Launch the application of DJI GO 4. 4: Tap the “transmitter icon” of the screen information. 5: Since the transmitter setting screen is displayed, tap “transmitter calibration”. 6: After confirming that the stick and dial on the transmitter are in the center, tap “Start”. 7: Since a warning message will be displayed, tap “OK”. 8: Kill the control stick to the maximum operating range and let the stick go around so that the numerical values ​​on the calibration screen are all “100%”. I will do both right and left stick firmly. 9: We will perform the calibration by rotating the transmitter’s left dial to the right and left, respectively. 10: Finish by pushing the completion button.